Plan 1A (lower) - 1 bedroom, 1 bath, 524 Square Feet with one carport. Plan 1B (upper) - 1 bedroom, 1 bath, 471 Square Feet with one carport. Plan 2B (lower) - 2 bedroom, 1 bath, 639 Square Feet with one carport. Plan 2C (upper) - 1 bedroom, 1 bath, 652 Square Feet with one carport. Plan 3C (lower) - 1 bedroom, 1 bath, 717 Square Fee with one carport. Plan 3C (upper) - 1 bedroom, 1 bath, 661 Square Feet with one carport. Plan 4D - (upper) 1 bedroom plus loft, 2 baths, 814 Square Feet with one carport. Plan 4 Ext. (lower)- 1 bedroom plus loft, 1 bath, 819 Square Feet with one carport. Plan 5G (upper) - 2 bedrooms, 1 bath, 928 Square Feet with one carport. Plan 6E (lower) - 2 bedrooms, 1 bath, 864 Square Feet with one carport. Lake Condos offer nice amenities such as, seven tennis courts, swimming pools and spas. The Master Homeowner's association is Orangetree Master Homes Association managed by Seabreeze Management located at 39 Argonaut, Suite 100 ALso Viejo California 92656. They can be reached at 949-855-1800. The HOA due is approximately $19 per month. 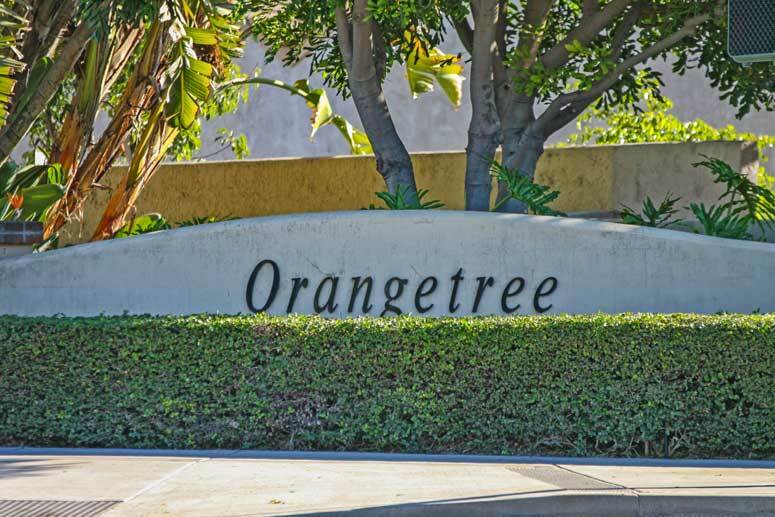 The Sub-association is Orangetree Condos Association managed by Total Property Management Company located on 2 Corporate Plaza, Suite 200, Irvine California 92606. They can be reached at 949-281-8282. HOA dues is approximately $165 to $300 per month depending on condo size. So if looking to buy or lease in Lake Condos in Orangetree then, please, have a look around, and contact us with any questions you might have about the market or our services. No question is too mundane - we want to help!